Cloudiness or turbidity of a bacterial suspension such as a broth culture is due to the scattering of light passing through the liquid by cells (figure 4.16). The amount scattered is proportional to the concentration of cells. To measure turbidity, a spectrophotometer is used. This instrument transmits light through a specimen and measures the percentage that reaches a light detector. That number is inversely proportional to the optical density. 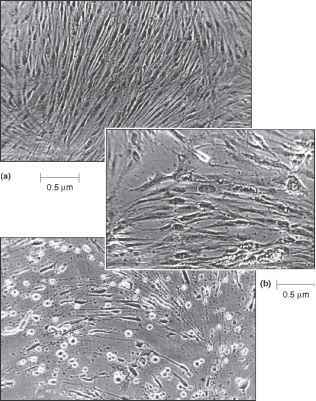 To use turbidity to estimate cell numbers, a onetime correlation between optical density and cell concentration for the specific organism under study must be made. Once this correlation has been determined, the turbidity measurement becomes a rapid and relatively accurate assay.